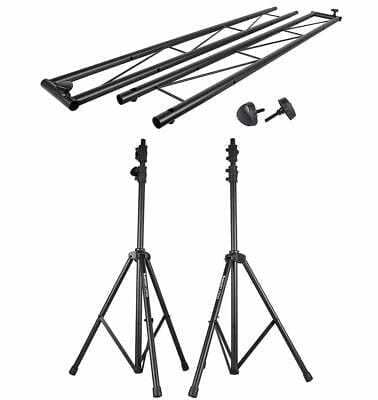 Truss, Tripods, Light Stands – Various tripods, truss lighting structures, light stands and poles available for rental in a variety of sizes. Add the extra professional element to your party or production by creating lighting and stage effects at different levels. Build a Truss for overhead downlighting or use a mid-level light stand to bring 3 dimensions to your dance party guests or stage characters. With these units you can create limitless effects. The list above notes the most common types of structures rented. If you do not see what you need please contact us to check other options. Check out our variety of Theatrical Equipment Rentals here. *Installation Adds an Additional Fee.